Always interested in the weather, I studied Broadcast Meteorology at Eastern Illinois University. While I attended school full time at EIU, I worked at WEIU TV/FM PBS, as weather, news, and sports anchor, reporter, and news/sports production. In August 2013, I was nominated and won first place in the Student Silver Dome Awards-Best TV Weathercast (Illinois Broadcasters Association). 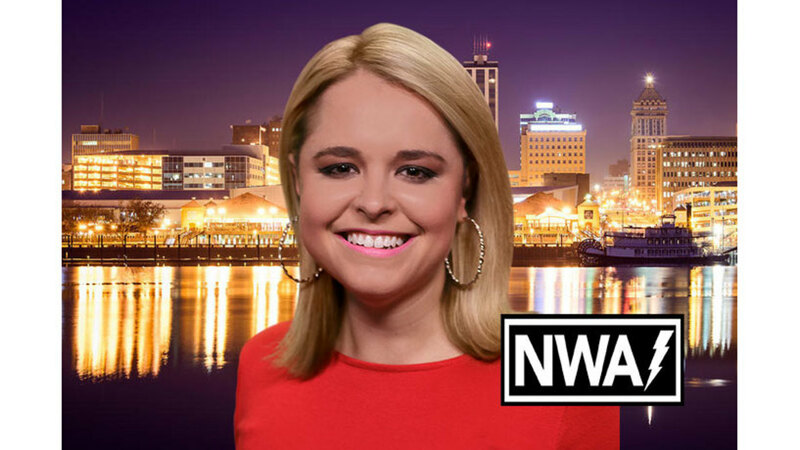 After getting my feet a little wet in the broadcast business, I started work as a fill-in meteorologist and reporter at WAND TV NBC in Decatur, Illinois. Just more than one year later, I came across a much better opportunity here at WMBD CBS /WYZZ FOX TV as the morning/noon meteorologist! My first day at WMBD TV was July 28, 2014, and I'm absolutely loving it! In December of 2016, I completed my Master's Degree through Mississippi State University. Graduate course work included: meteorology, geology, physical geography, oceanography, and planetary science. I even got to participate in the "2016 Great Plains Storm Chase" for one of my field methods courses. Life after graduate school is far more relaxing! My Saint Bernard, "Elsa," keeps me occupied in my spare time. If you're out driving and see a great big Saint Bernard trotting alongside a tiny girl, that is probably Elsa and me! I received my National Weather Association TV Seal of Approval in May of 2018. Born and raised in Central Illinois, I am proud to continue serving the Central Illinois public! Thank you for inviting me into your homes every morning! For weather updates and fun, "Like" my Facebook page "Lauren Rainson." I am also on Twitter @LaurenRainson.